How one brilliant idea has traveled from Bogota, Colombia all the way to New York City. Urban planners, rejoice! 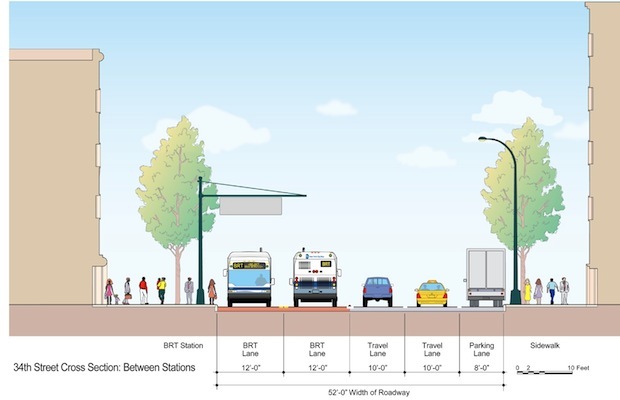 Today, the New York City Department of Transit announced a radical new plan for improving the city’s bus lines: A fully dedicated express-lane for buses, running crosstown on 34th Street. 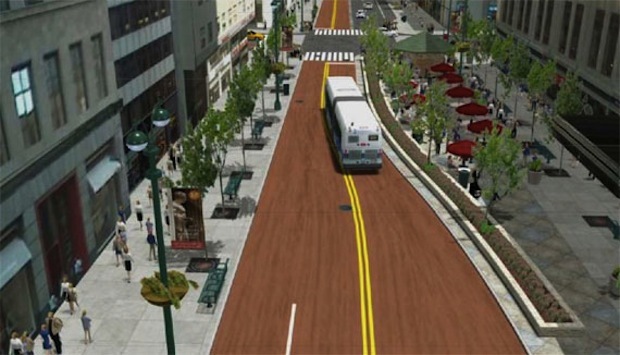 It’s expected to improve bus speeds by 35%, on a route where buses are stationary a whopping 40% of the time. And it marks another huge, bold idea from Janette Sadik-Khan, the DOT commissioner who’s overseen a slew of projects, ranging from the new sidewalk saffolding to a pedestrianized Times Square. That’s a coup for harried New Yorkers, but there’s a bigger story here, and one other outsize urban visionary: The New York proposal marks a huge coup for an idea that began in Curitiba, Brazil; and then was co-opted in Bogota, Colombia; and it’s now been spread around the world by Enrique Peñalosa, the former mayor of Bogota who’s become a globe-trotting evangelist for better urban planning. 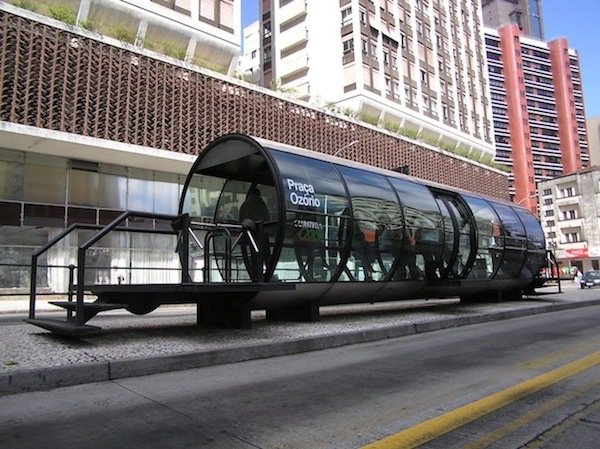 For Peñalosa, the system solved the problem of cheap, scalable mass transit: Bogota is choked with traffic, but Bogota simply couldn’t afford a new subway system. So they had to adopt an innovative alternative. And they found that model in the buses of Curitaba, Brazil (pictured below). The idea turns out to have been a tremendous success, both in Colombia and Los Angeles, where a version of the TransMilenio, the Orange Line, began operating in 2005. Since then, traffic along its route during the morning rush hour is moving 14% faster, and the rush hour itself begins 11 minutes later. 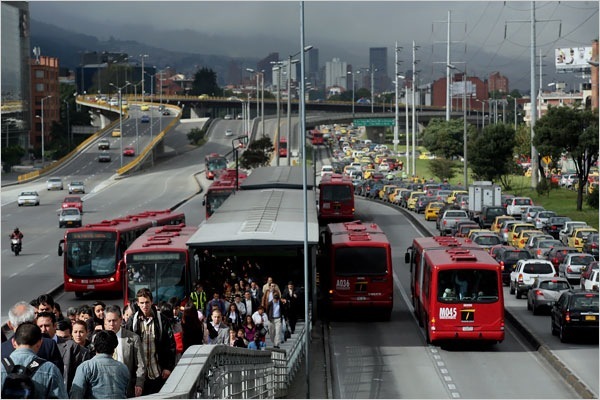 With lots of American cities finding themselves with the same problems as Bogota, you can bet we’ve only begun to see the influence of the Transmilenio, and Peñalosa.